Yes, I know I know…summer isn’t over, but we are currently wearing coats and jackets up here so it feels as if fall has arrived. I am already pulling out my fall shoes and sweaters not out of want but out of complete necessity. I won’t lie that I am loving the cool days though. Since moving back to Michigan, I find such value in cool rainy days and even sunny cool days as well. The slower pace and the cozy atmosphere they create is undeniable. I make sure I don’t have anything similar in my closet already and if I do then does that piece actually need to be replaced or not? Hard questions as it feels I am always on the hunt for the perfect tee or perfect sweater. Recently, I started trying to become extra aware of where my clothes are coming from. So I try to choose things that are being done with good for the world or in the least are supporting small brands trying to grow and create a positive community. These days it is way easier and I will be talking more about some of the brands I shop the most this month to help give you a launching point. 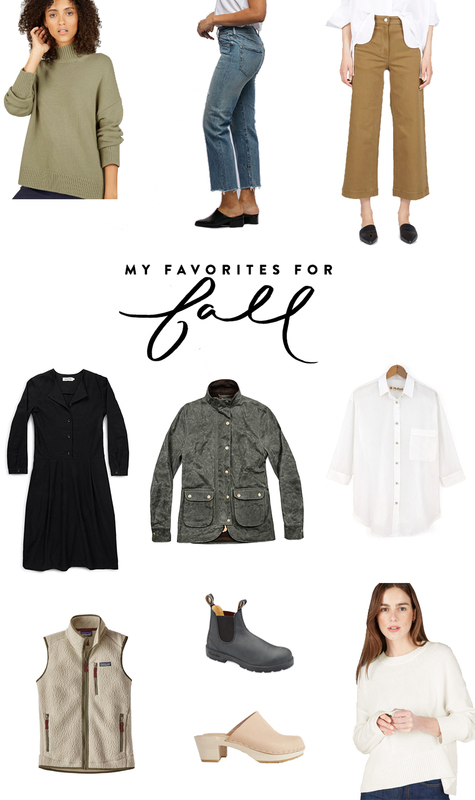 All that said, I gathered up the 10 pieces I have decided need to be in my closet this fall to help get you thinking towards a fall wardrobe. I will, of course, be doing my Fall Wardrobe post like I do every season, but I am holding off till closer to the first day of fall. I know how so many of us just aren’t ready to say goodbye to summer. I get it! 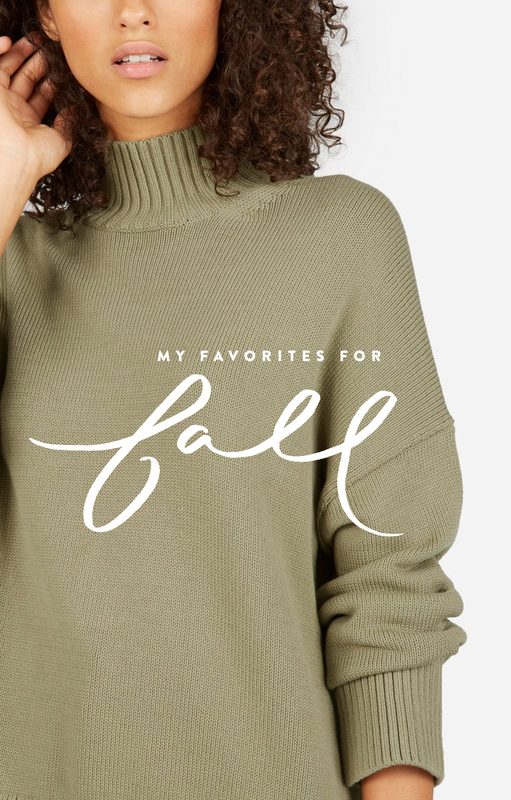 What items are you eyeing for fall? I would love to hear. Also, what are your favorite conscious, American-made, small-run, and/or ethical brands out there?! I am always hunting for new ones. I know, crazy how we are in autumn already, time goes so quick 🙂 Truly lovely pieces here, i really have to check everlane out. haven’t really thought about cloths for this season yet, so thanks for the inspo! I really appreciate your efforts to support conscious brands, as it’s something I’ve been working on, too. I have a few pieces from Taylor Stitch and I really love them. I’ve also been keeping an eye on Amour Vert, but I haven’t bought anything from them yet. And Fortress of Inca has some really cute shoes! I do love them!!! Gorgeous clothes! I love the linen shirt on your list! It looks so pretty and comfy. I would wear it all the time with skinny jeans! Love that patagonia!! Maybe I need another patie vest to add to my collection! haha! I just got the cotton crew sweater from Everlane in Navy yesterday. I bought another cotton crew sweater from them last year in a light pink that was more shrunken size wise but the weight and feel was so amazing. I kept reaching for it last year so I knew I needed another! I never want to take this new one off… like ever. Highly recommend. If you do buy… it’s still cropped in the front – way more so than it looks on the model but the sleeves are long and cozy! I have that TaYlor stitch dress from lasT year and i love it. One of my favorite things in my wardrobe for fall/winter in MI. I manage to be work appropriate and warm at the same time. And it is super comfortable and flattering. Oh that is awesome to know! I have eyed it for quite some time. It looks perfect!